Step 1: Validate that your site uses standards mode. 1. 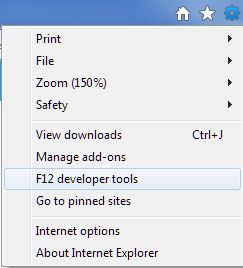 Open the website in IE10 platform preview. Insert <!DOCTYPE html> into your website’s HTML page. Learn more about how to update your doctypes here. Possible Cause: Your website may flagged in Compatibility View and forced into an older browser mode to ensure the site functions. Possible Cause: Your website’s doctype is invalid or missing. Possible Cause: Docmode being forced via X-UA-Compatible meta tag. Possible Cause: Conditional comments support browser version-specific features.